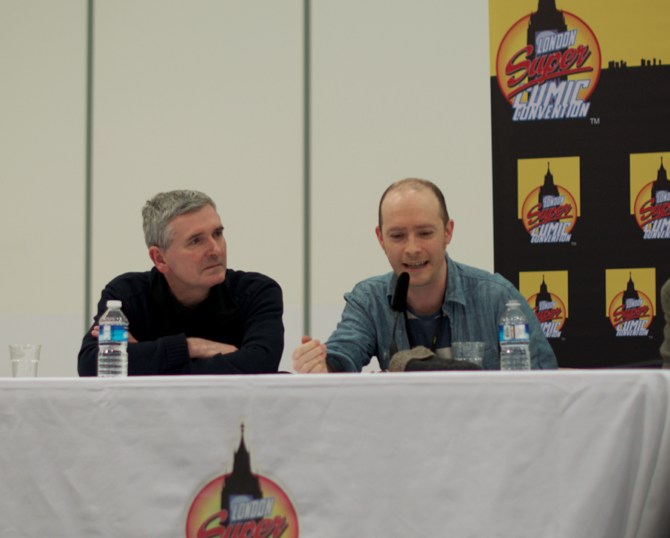 Matt C: The big question hanging over the London Super Comic Convention last weekend was: could it make the same impact this year without the ‘Stan Lee Factor’? 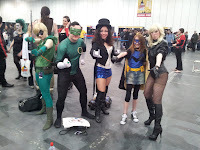 There’s little doubt that Stan The Man’s presence at LSCC 2012 brought in the crowds, and I imagine the organisers might have feared diminished attendance without him. 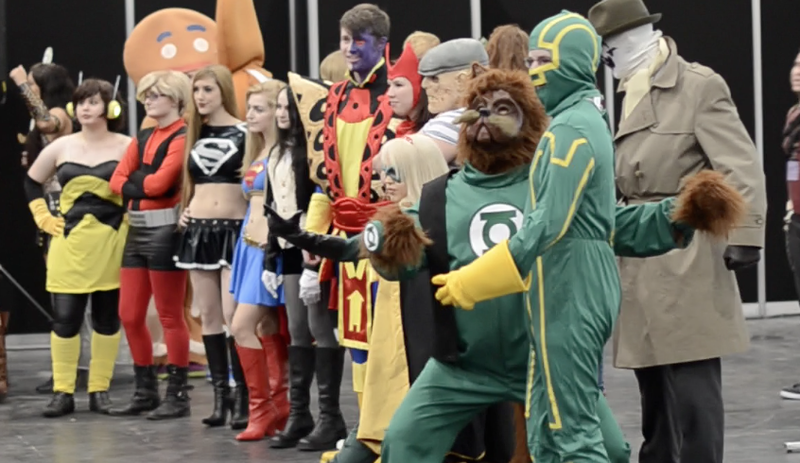 They needn’t have worried though as the geeks and fanboys were out in force on Saturday and Sunday, meeting creators, scouring the back issue boxes and dressing in some impressively outlandish costumes. 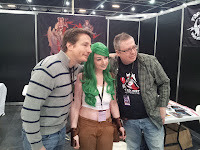 The lack of a guest on the same level as Mr Lee clearly meant that the budget for inviting creators from far and wide was increased, and so we saw J. Scott Campbell, Roy Thomas, Kieron Gillen, Herb Trimpe, Gary Frank, Neal Adams, David Hine, Bill Sienkiewicz, Rebekah Isaacs, Matt Hawkins, Brian Bolland and many more chatting to fans and signing the their name to just about anything thrust in front of them (a toaster! 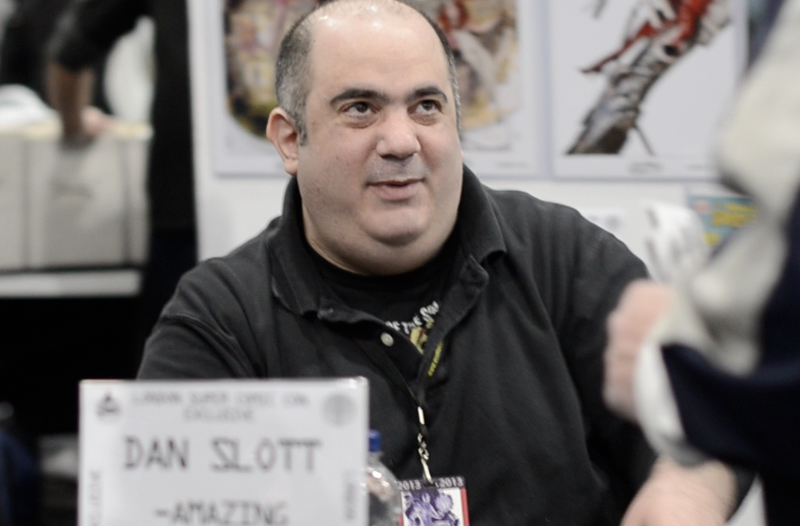 ), none more so than Dan Slott, who seemed like an unstoppable signing machine with a never ending queue of eager acolytes. Some random thoughts… Can someone in Hollywood please put the Vision in a movie for Roy Thomas? 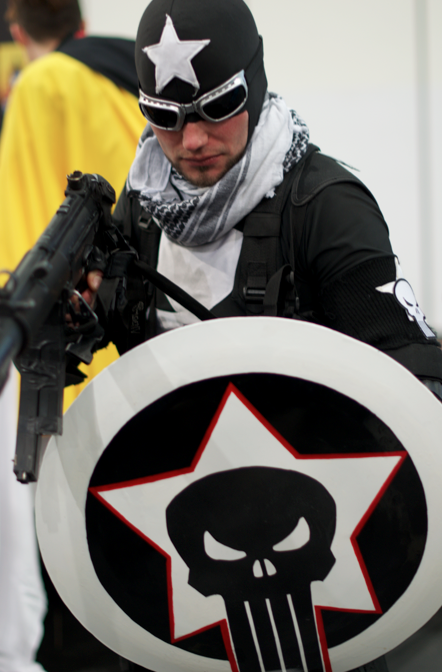 Did the guy in the cosplay completion really think he stood a chance wearing a Punisher t-shirt and carrying a Nerf gun? Could Esad Ribic crush a man’s skull with one massive hand while painting an awesome Thor picture with the other? Was that really author Will Self responding with surprise when a vendor told him he sells comics because he likes them? Why couldn’t I find any copies of John Byrne’s Sensational She-Hulk (let alone the one’s I’m missing!)? Was it a classic con? Nope, but I had a lot of fun and spent a heck of a lot of money all the same. Will I be back next year? No guarantees, the guest list and general finances will help decide that, but I think the LSCC is growing in the right direction and there’s a sense that – to quote that great pop poet, Yazz – the only way is up! James R: For me, LSCC is still finding its way as a convention - having been at both of them now, it's encouraging to see that lessons have been learnt from the first convention in 2012, but I'd still say there are some teething problems. On the plus side, the con is certainly attracting the right level of guests, and long may this continue. It was also great to see such a big showing from the independent publishers and creators - in terms of wandering the floor, it felt like the Bristol Expo did when it was at its peak. The room available and its use this year was really good (as you'd expect from the Excel centre), I didn't encounter a battering from flying elbows at any point, and I was spared the usual olfactory assault that you often get from some of our more hygiene cautious fellow geeks! However, the previously mentioned teething problems are certainly in evidence, and I think these can be crystallized to the Excel itself. The organisers put together a great panel to talk about the legacy and history of Marvel comics, and I was hugely thankful that I was sat in the first three rows as the sound quality was dreadful - given the huge nature of the space in the Excel, the acoustics were ropey at best and I felt this killed the atmosphere slightly. It's clear that LSCC models itself quite rightly on the big US conventions, but it finds itself in the difficult position of finding a venue that can match that ambition and provide a great weekend. In conversation over the two days, I heard numerous people express sadness that there wasn't anything to do in the evenings. 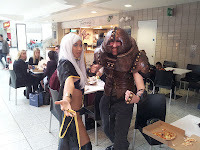 Whereas Bristol is always walking distance from the city centre, and Thought Bubble puts on a party night on the Friday, I felt that we were stuck out in the middle of nowhere with hugely limited options as to how to spend our downtime - I think an LSCC at Earl's Court or Olympia might make for a convention with loads more atmosphere. Finally, the timing of the event wasn't ideal either - I know America has got a lock on the summer cons, but the Arctic conditions of the weekend certainly took some of the shine off for me. Our good friend Gemma B compared the LSCC experience to that of the MCM Expo (also held at the Excel) and she noted that at MCM, the room itself was full and vibrantly decked out with banners, whereas LSCC was certainly neither of these! 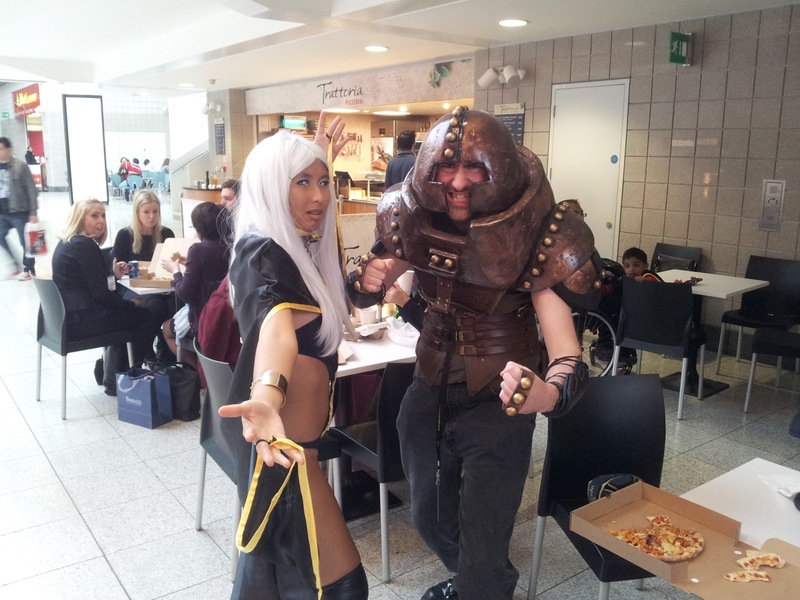 I know that MCM is a different beast, appealing to a wider audience, but I still think the LSCC organisers have to keep thinking big and look at what conventions are working closer to home. 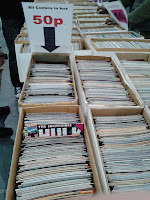 For all my gripes though, I still had a blast - a whole weekend of comics! Bliss! And of course, getting to hang out with my blood brothers in the PCG is always a huge bonus. 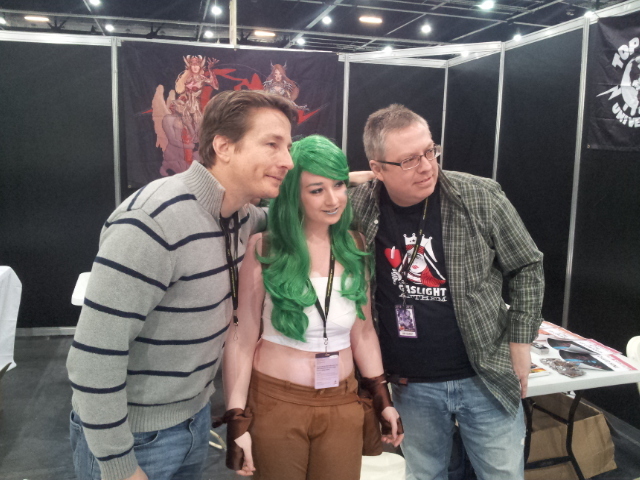 It was also a brilliant opportunity to catch up with our friends from the world of comics, and the cosplay parade is quickly becoming a highlight of my year - both to applaud the ingenuity and skill of my fellow geeks, but, as Matt points out, also to chuckle at the more ramshackle efforts! Will I be back next year? Well, at the moment, I'll say 'Depends' - It depends on who the organisers bring over *cough* JeffLemireandScottSnyderplease! *cough* and it depends on how many of my good friends want to go again. It also depends on the success of the proposed Melksham Con - a convention nearby with the Thought Bubble atmosphere and some great creators... I'm crossing everything! 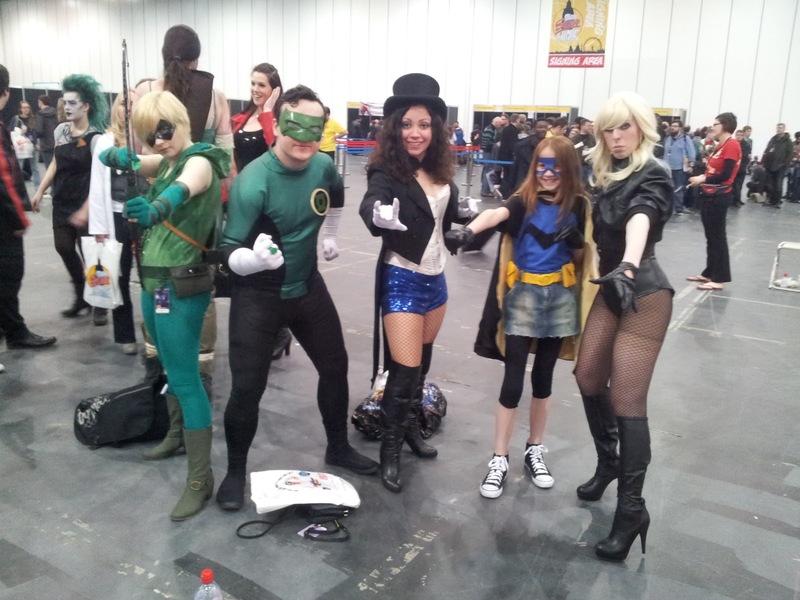 In the meantime, let's hope LSCC expands once again next year and provides us British geeks with a convention to be super-proud of. 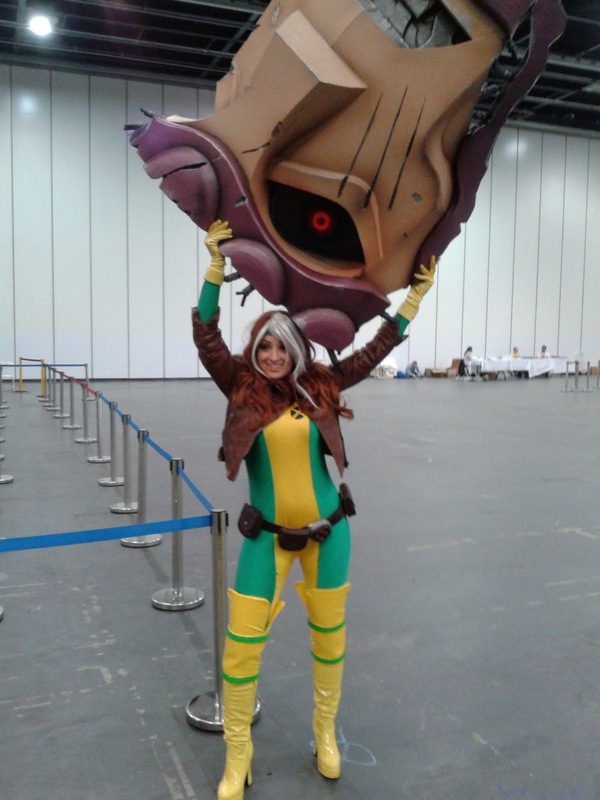 In 2012 I’d sniffed a little at the panels on offer, only heading into the panel area for the inaugural Cosplay Competition (to this day I still believe that Galactus was robbed of victory) and that was that. This year was a different matter entirely and I will hands down say that the highlight of my weekend was getting an opportunity to hear the opinions and reactions of a myriad of different creators. 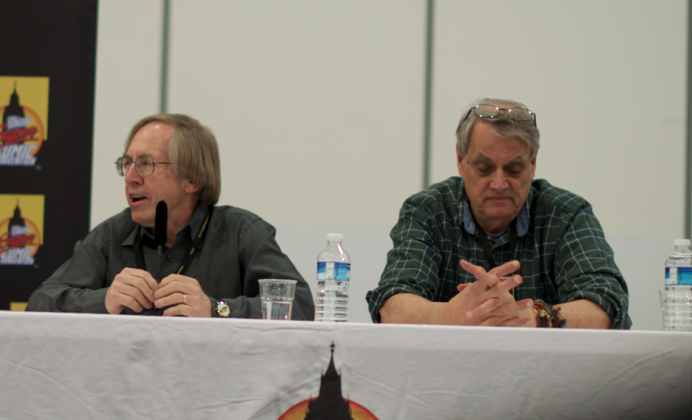 The panel celebrating 50 years of Marvel Characters, yes, did feel a touch disjointed and thrown together at the last moment, but Roy Thomas was on good form and Frazer Irving’s views were an interesting contrast from a modern comic creators standpoint. More interesting and educational points were put across in the Top Cow panel where Matt Hawkins provided his honest views on the industry, shared stories of successes and laid bare many of the problems that the publisher has had to deal with in the past and is looking to avoid today. And then there was the man of the show, Dan Slott; part grateful signature factory, part engrossing and highly entertaining speaker. The hour he spent explaining his life as Spider-Man scribe supreme to the enthralled audience was a pure joy from beginning to end and I’d be happy to see him back every year if that’s the incredibly high level of enthusiasm and sense of fun he brings to every convention! So far it’s all glowing, and to be honest I can’t say that I experienced or spotted anything that I’m now thinking was dealt with or delivered in any incorrect fashion. In respect of the retailers it did strangely appear that you could either get your hands on plenty of Golden or Silver Age comics should you have the sufficient funds, or pick up plenty of recent Marvel NOW or DC New 52 at slightly reduced prices. 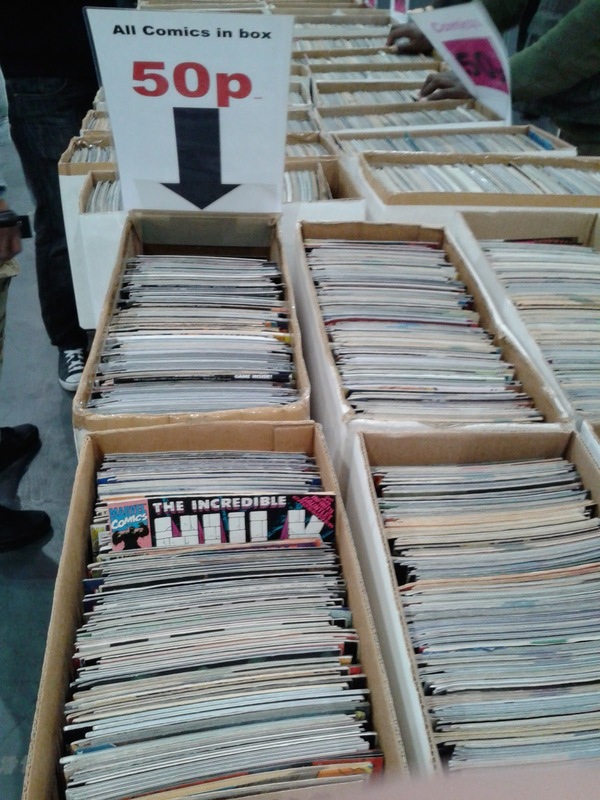 What was worryingly missing was the countless longboxes of classic 1980s runs that have been a constant at every previous convention I’ve been to. Perhaps in these stressful times for retailers they have decided to play things a little differently and that’s a factor that is realistically out of the organisers’ hands. New York’s Midtown Comics had a good time of it though and that could hopefully lead to a bigger presence from US retailers in the future with their larger stocks of back issues. Being a weekend-spanning event I can also echo my colleagues' concerns about the Docklands location from an apres-convention perspective, but then that’s balanced by the sheer number of hotel choices just a stone's throw away which adds a level of convenience perhaps not found elsewhere. Will I be back next year? Oh, without a doubt, yes! 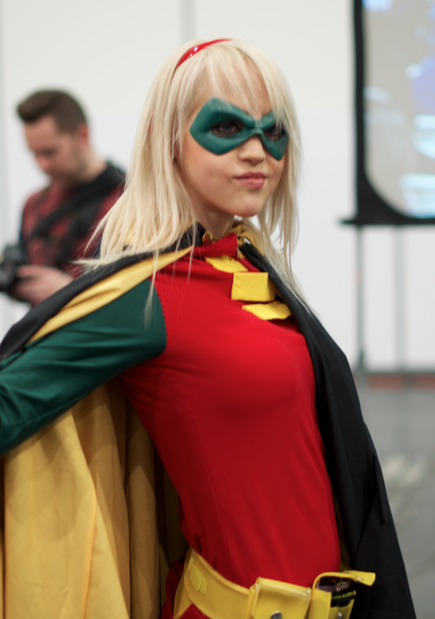 It's clear that the organisers are making tweaks and changes in subtle, measured ways and aren't rushing in with a 'bigger is better' mentality, yet can boast one of the biggest dedicated comic book events on the UK calendar. The fans, creators and exhibitors all seemed to have had an excellent time, as did I and I'm expecting a repeat of this come 2014!